In a medium bowl, mix balsamic vinegar, rosemary, garlic, and herbes de Provence. Place beets in the mixture, and marinate at least 20 minutes. Place the beets and marinade mixture on a piece of foil large enough to wrap all ingredients, and seal tightly. 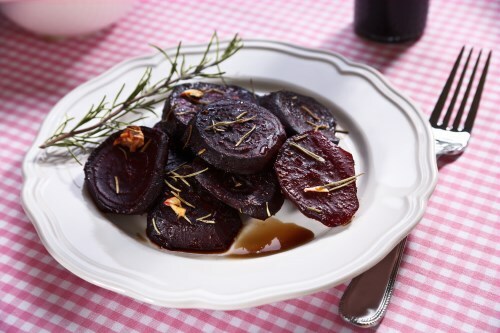 Place the foil packet on the prepared grill, and cook 25 minutes, or until beets are tender. Remove beets from the packet, and place directly on the grill grate for 2 to 5 minutes before serving hot.